Following our previous post about extra features, we decided to look at some in a little more depth. The IVR or “Press 1 For Sales” feature is the feature where you phone a company and get told to press 1 for sales, press 2 for accounts, press 3 for customer service etc. This is a fantastic feature if used properly. If you’re a small company, for example a one man band or only have a few staff, it makes you sound bigger than you actually are. This is because you can point each option to go to the same phone if you wish. So, sales, accounts and customer service could all be the same person, but it sounds more impressive to the potential customer when they’re being put through to departments. If you’re a large company, it helps to channel the customer through to the right team to save time for both you and the customer. The trick is to not have lots of options and sub options otherwise you can confuse, anger and frustrate your customers. Keep it simple and keep it helpful. DBS Chess offer the feature for a £25 + VAT set up fee, and then £10 + VAT monthly rental. The service is available for all of DBS Chess’s numbers, including 0800 numbers, 0845 numbers, 0844 numbers, local numbers and London numbers such as virtual 0203 numbers. We are constantly stressing the merits of having virtual 0203 numbers to businesses who want the prestige of being a London company, but cannot afford to have offices or rent premises in London because it costs too much. 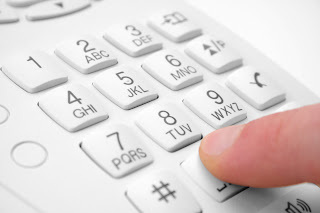 By having a virtual 0203 number, you can be based outside of London, but still appear to be London based by having a virtual local number pointed to your existing landline or mobile. This option can save businesses a fortune, especially small businesses just starting up. However, the benefits can be greatly magnified by adding some of our extra features to your virtual London phone number. A greeting meesage for example, recorded by us to say whatever you would like it to say, makes your business appear friendly and professional, giving your clients and potential customers a good first impression. The “press 1 for sales” service allows you to channel your customers through to the correct department if you’re a large organisation, saving you and them time, or makes you look bigger if you’re only a small company. And call recording, whereby we record all or a selection of your calls for you for accurate records or training and then email them to you, means you never forget important conversations. Take a look at the 10 different extra features available.